Moving On : Dump Your Relationship Baggage and Make Room for the Love of Your Life by Russell Friedman and John W. James (Aug 25 2006). Six Myths About Sadness: 1) Don't Feel Bad, 2) Replace the Loss, 3) Grieve Alone, 4) Time Heals All Wounds, 5) Be Strong, and 6) Keep Busy. These authors provide concrete tools to move forward after relationship loss. Healing Words explores science's bias with spiritual prayer and distance healing. It challenges ideas of how we define consciousness and connection through empirical review of existing research. It discusses a number of facets of the effectiveness of spiritual prayer and distance healing along with cautions for its use. It is undoubedly the most interesting book I've read in some time. Stay tuned for more individual and couple resources. 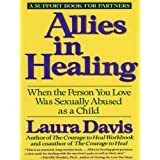 Published in 1991, Allied in Healing: When the Person You Love Was Sexually Abused as a Child, by Laura Davis is a book for persons recovering from abuse and their partners. It outlines both partner stories and provide basic education on symptoms and the recovery process. 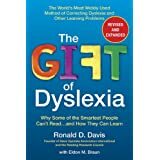 This book is helpful in understanding difficulties related to boundaries, expressing needs, coping with flashbacks, lack of desired, differences in sexual needs, and frustrations. It offers assistance with crisis management, intimacy issues such as control, safety, trust, and fighting. It also offers suggestions for interactions with the survivor's family. Let me know whether you find this a helpful resource.